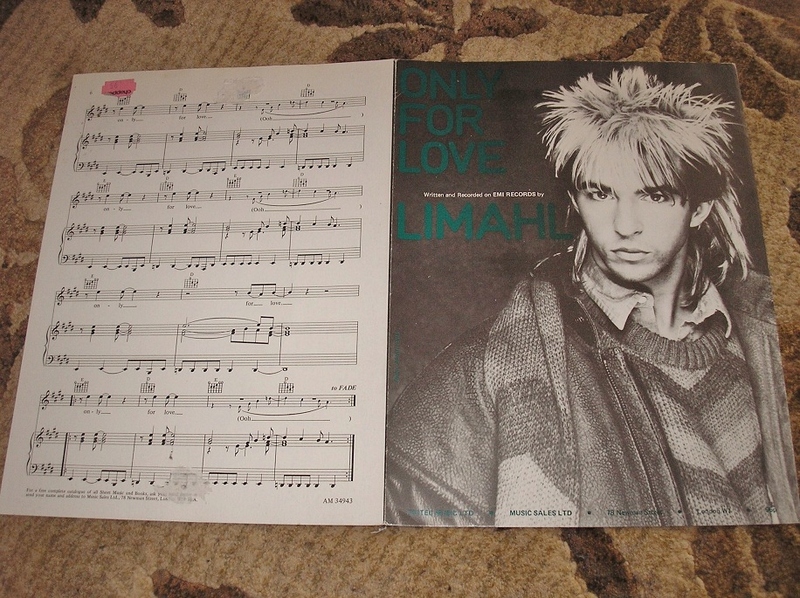 Today, we venture once more into the world of sheet music with this copy of Limahl’s 1983/84 hit Only for Love. In the days when a 7” single would set you back around £1, it is interesting to note that this document carries a cover price of a whopping 95p! These pieces are great for your ‘Goo collection but can be quite hard to track down. This particular example was recently brought back to the UK from the United States of America. 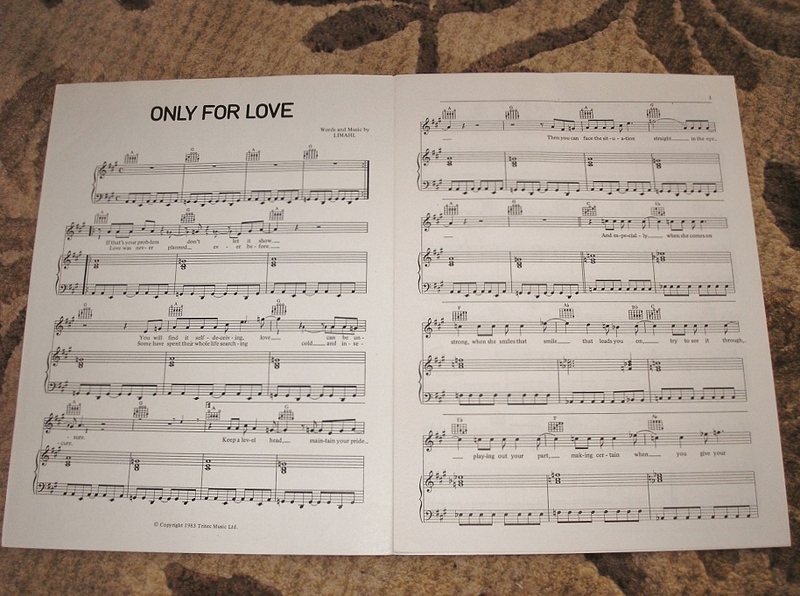 When you consider that the booklet was originally manufactured for sale here in the UK, it’s incredible how far it had managed to travel in 28 years! 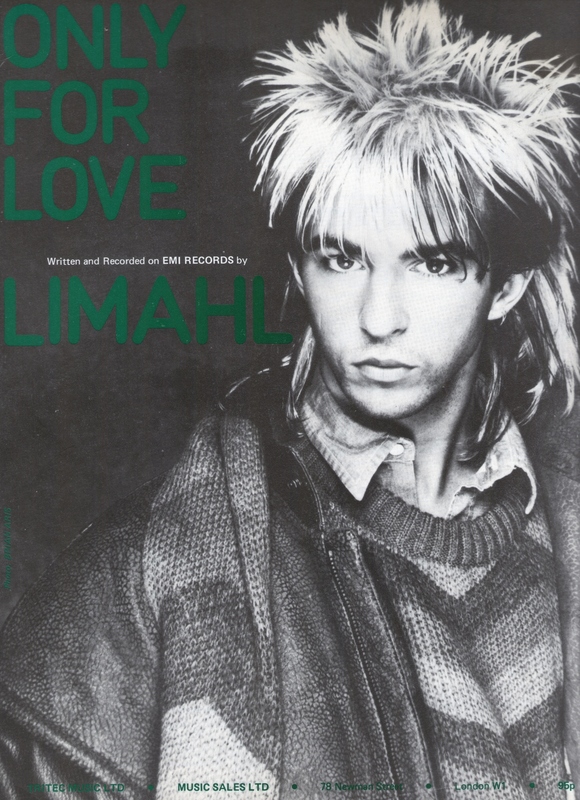 KajaFax has more examples of Limahl and Kajagoogoo sheet music in its archives so if this is your thing, keep visiting the site for more! 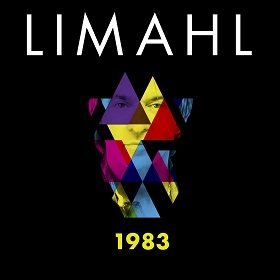 Fast forward to 2012, and the brand new single from Limahl. 1983 is on general release and available from all digital retailers now! They are indeed nice things to own. 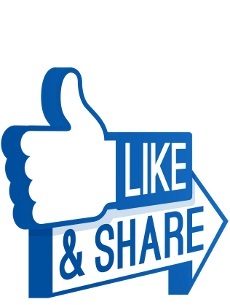 We do have a few more yet to feature, so keep checking back for more!